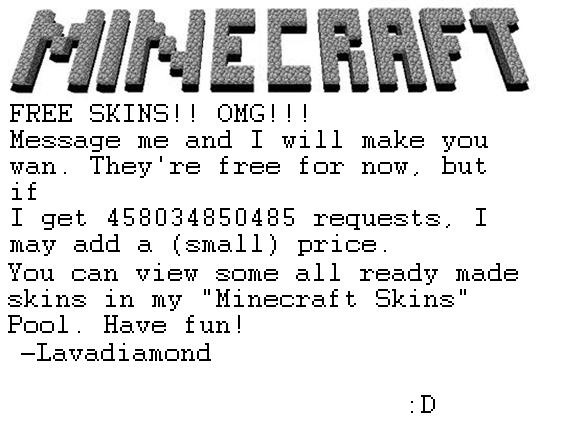 FREE MINECRAFT SKINS? WTF? NO WAY! Oh boy time to ask for EVERY TOUHOU. Ink bunny allows it as long as there is no vagoo or ween. OOOH. Can I get one of my Psy? Is naked but not anatomically correct a possibility?